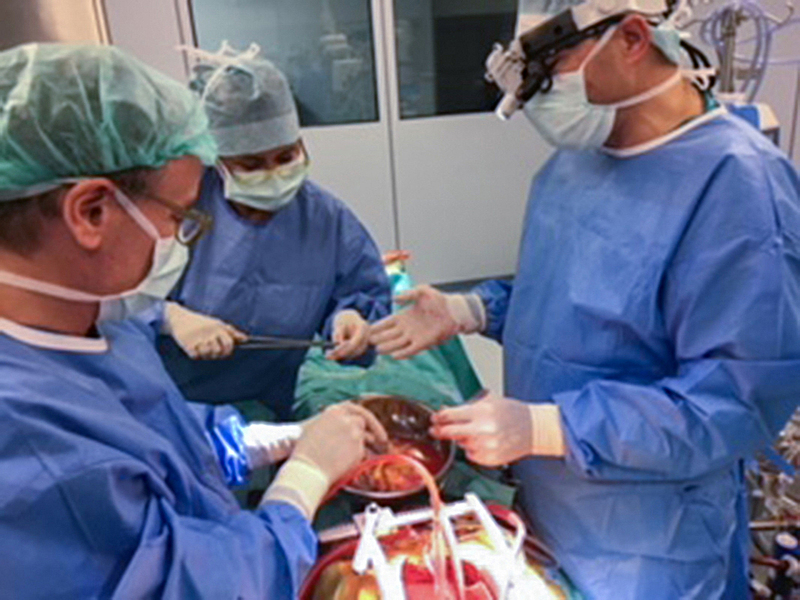 The liver transplant surgery team was led by Prof. Krzysztof Zieniewicz, Head of Department and Clinic of General, Transplant and Liver Surgery, and included Krzysztof Dudek, Ph.D., M.D., Marcin Kotulski, M.D., Maciej Krasnodębski, M.Dd and Aneta Skowrońska-Pietkun, Ph.D., as well as instrumentalists Anna Wąsik and Jolanta Budny. 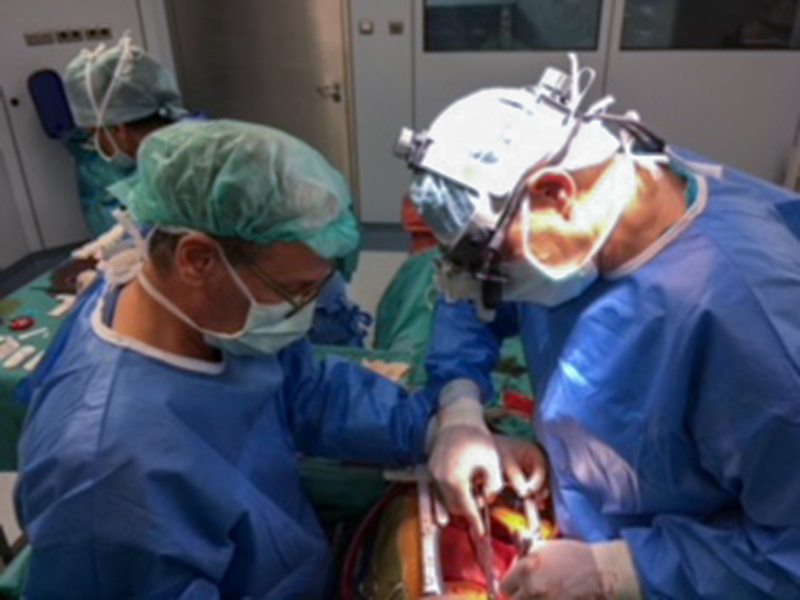 The heart transplant surgery team was led by Prof. Mariusz Kuśmierczyk, Head of Department of Cardiac Surgery and Transplantology, and included Jerzy Lichomski, Ph.D., M.D., Mateusz Kuć M.D., Krzysztof Kuśmierski M.D., Małgorzata Sobieszczańska – Małek Ph.D., M.D., anesthesiologist Ewa Sitkowska – Rysiak, Ph.D., M.D. and Małgorzata Jasińska, M.D., and clinical perfusionist Jarosław Szymański. 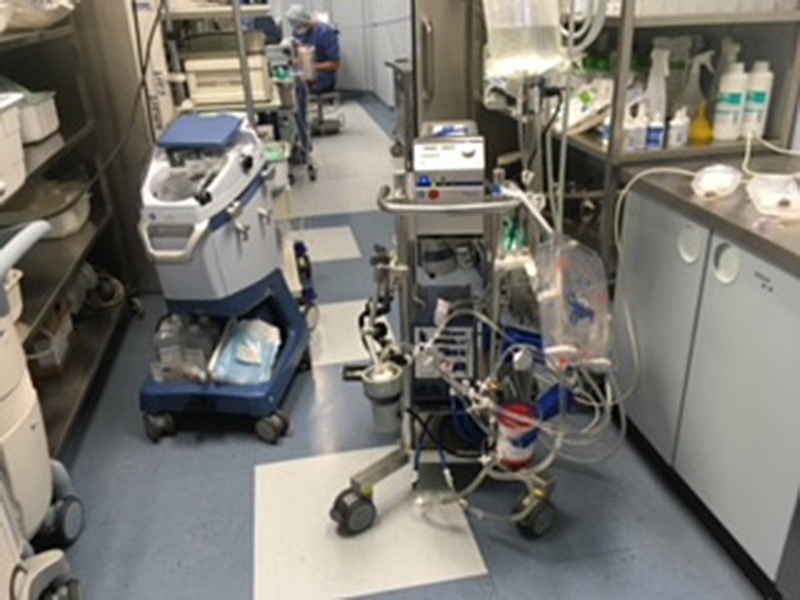 The team of cardiac anesthesiologists were supported by Grzegorz Niewiński, Ph.D., M.D., specialist in liver transplantation anesthesia and intensive care. 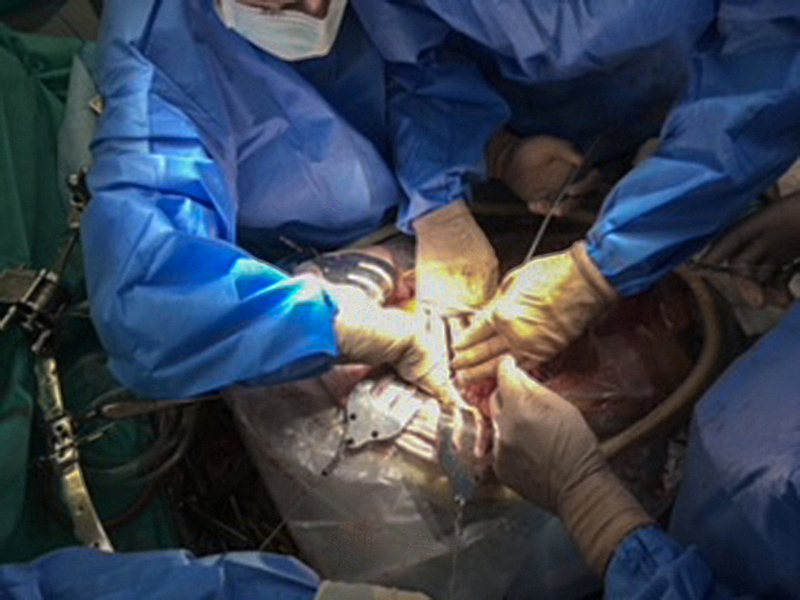 Delivery of the liver was performed by Michał Grąta, Ph.D., M.D., and Karolina Kiełek while coordinated by Krzysztof Zając. 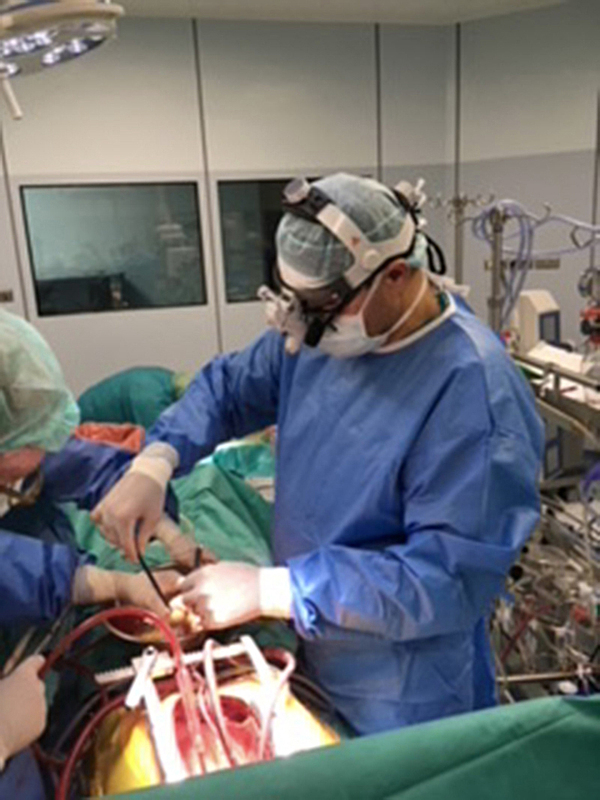 Prof. Piotr Milkiewicz’s team led by Joanna Raszeja-Wyszomirska, Ph.D. of the Institute of Cardiology and Hepatology Clinic of the Department and Clinic of General, Transplant and Liver Surgery at Medical University of Warsaw Independent Public Central Clinical Hospital (SPCSK, 1a Banacha St.) evaluated the patient as being eligible for transplantation. Urszula Ołdakowska-Jedynak, Ph.D., M.D., implemented post transplantation immunosuppressive therapy. 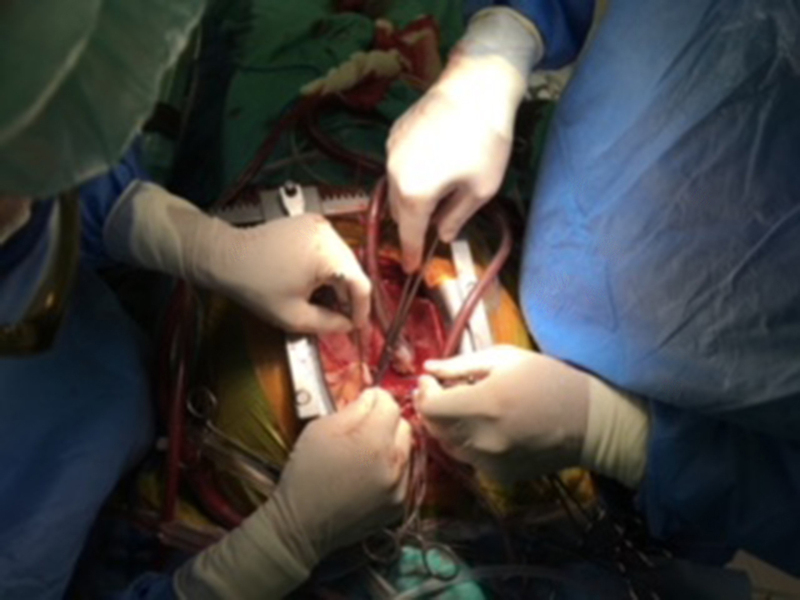 A brief history of the liver transplantation program at the Department of General, Transplant and Liver Surgery dates back to December 30, 1994, when the first successful liver transplantation in Poland was performed by a team of surgeons including Jacek Pawlak, M.D., Bogdan Michałowicz M.D., and Krzysztof Zieniewicz, M.D., and with the help of Paweł Nyckowski, M.D., Piotr Małkowski, M.D., Ireneusz Grzelak, M.D., and Marek Schaeffer, M.D. 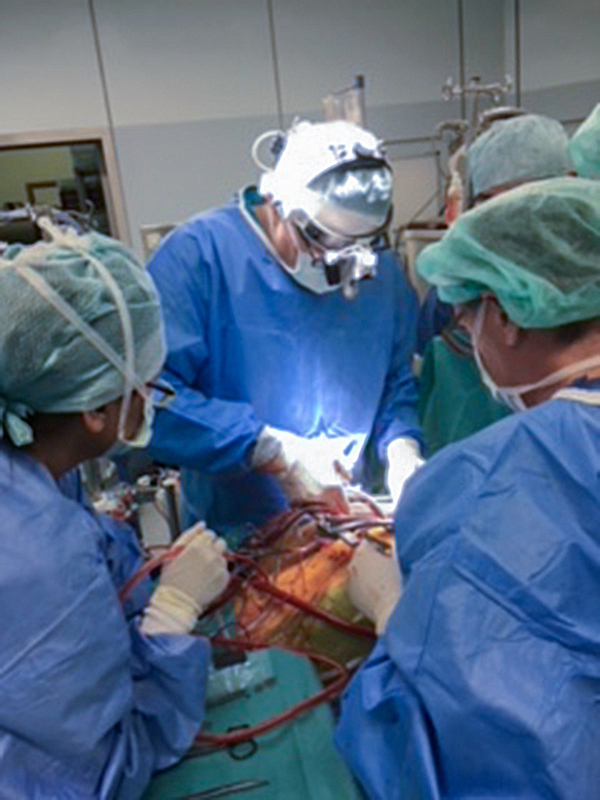 The recipient was a 46-year-old woman with primary biliary cirrhosis. The patient lives to this day in a good general state of health. The Department and Clinic of General, Transplant and Liver Surgery liver transplant program is the largest in Poland and is at the forefront of transplant centers in Europe. Since 1994, over 2,000 liver transplants have been performed at the Clinic. 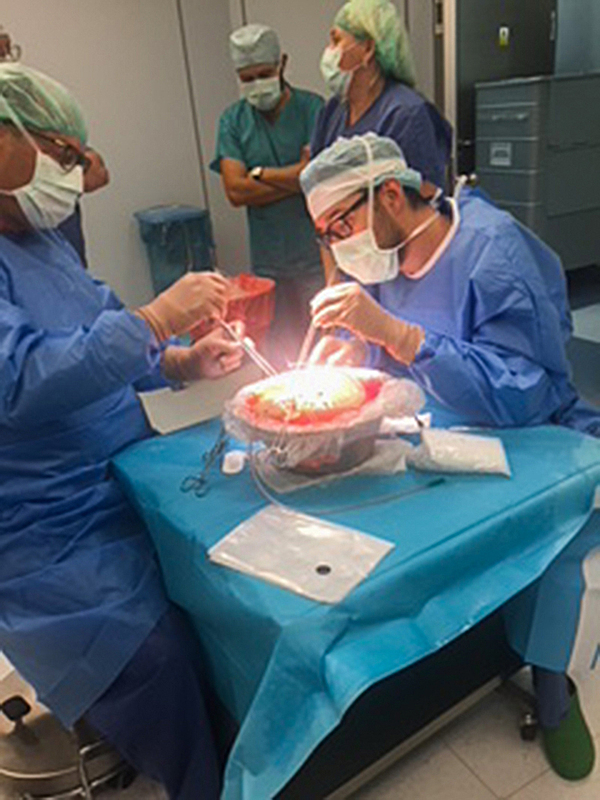 The Clinic’s annual survival rate for post-liver transplants is around 90%, and 60% for 5 years (according to European Liver Transplant Registry).